This item will be released on 21st June 2019. ‘Loops In The Secret Society’ is a re-imagined journey through parts of both albums, with new ambient pieces primed and polished; with new tangents explored in a lab-friendly blossoming of the Weaver vision that travels yet further into the psych of our future. A continuous experience with one-line observations set in glorious sense-stimulating sound. That source material was then united in an expansionist experiment in late 2018. 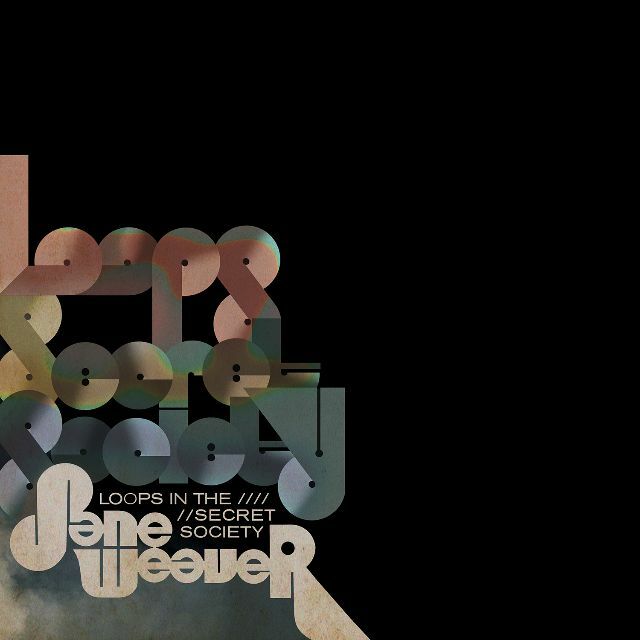 The ‘Loops In The Secret Society’ tour fused unrelated sounds set off against sympathetic new textures, tones and drones ; hot-housed into an idealistic soundscape that formed the conducive parts of the imminent album of the same name. Co-conspirators include Henry Broadhead, PJ Phillipson and Andy Votel. Renegades all, headed by the enigmatic Weaver – all under surveillance.